On my first trip to the Soviet Union in 1987, I was appalled by the poverty of goods & freedom & the third-world aspects of ordinary life. But everybody had a job. My colleagues were professors & lab directors & they lived as well as graduate students do in the US. 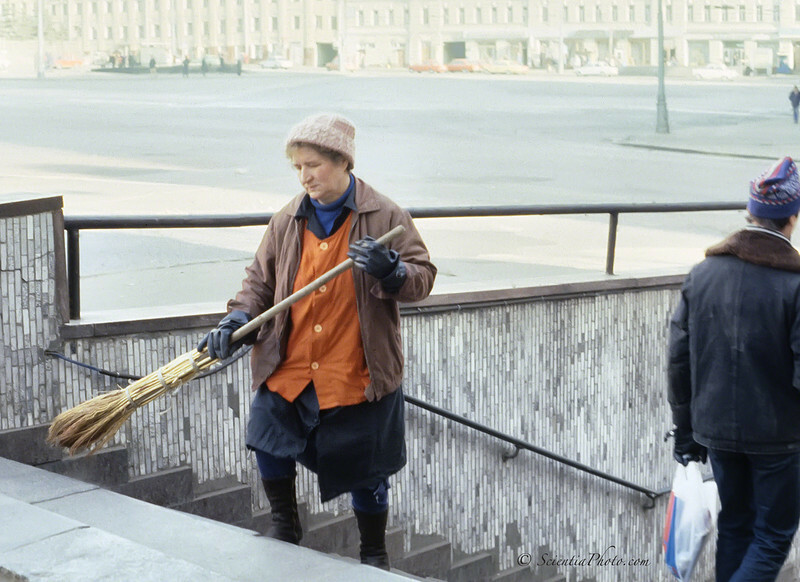 This woman swept the steps of the Moscow subway with a primitive broom of bundled straw, & lived less well. Very much less well!